I have a few questions about your 3C/3B hair that I have to know. 1. How do you detangle? Wet, dry or damp? What tool do you use? What product? How often? 3. How do you dry your hair after wash day? (My hair takes FIVE ever to dry and I usually just air dry it in braids, which takes like 3 days for it to dry.) Is there a faster/better way without using heat? Thank you soo much guys! I apologize for all the questions. I attached a picture of my hair in its current state. I have very, very similar hair! It's a pain because it's super-sensitive--depending on the cut (how long it is) and the weather, I have to treat it very differently. 1. I detangle only when it's wet and loaded with conditioner, usually just the cheapest conditioner I can find. Otherwise it takes forever and just gets frizzier. I use my fingers first, then a wide-tooth comb. I do this every other day or so. 2. When my hair was longer, I hardly ever needed to wash it--it just never looked or felt greasy. However, at this shorter length it looks ratty after a while, probably a build-up of product. So I've been washing about once a week or so. I use Giovanni Leave In conditioner, although my local store has stopped carrying it so I order it--trying to find a replacement. Thank you for your response! I try to air dry it, but it takes sooo long! What do you do to speed up the process without using heat? 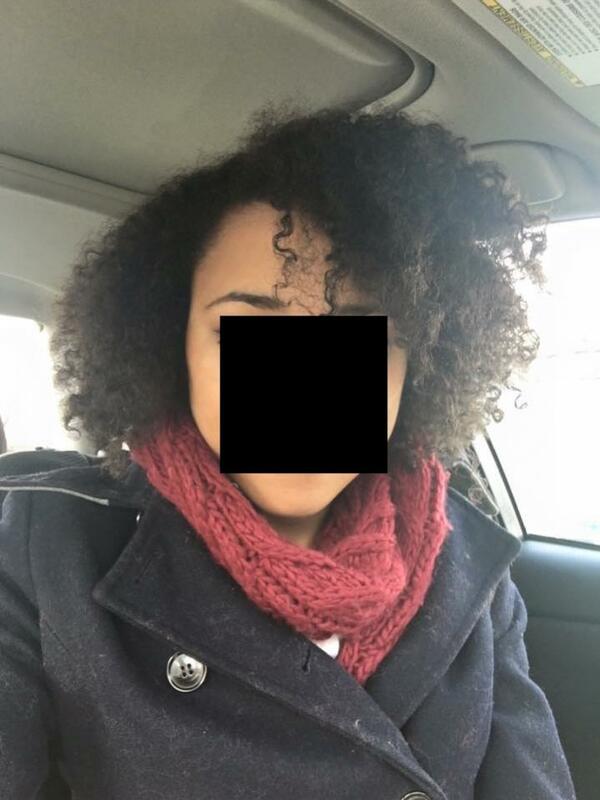 We seem to have had some of the same issues and would like to connect with you as a curl sister. I am leaving the twist-out I have in my picture for today but when I do my wash n go tonight I want to share some of my experience and ideas. Invest in a good hood dryer. Time saver!! My hair is mostly 3a with some 3b, though I also have more fine hair, so finding a good hair care method and routine for my curly fine hair has definitely been a struggle, though lately I think I have finally found a method that makes my hair turn out more manageable. Normally I would detangle when it was slightly damp, though ever since starting a "finger combing only" challenge, I have been mostly lightly detangling it wet and dowsed in conditioner in the shower very gently with my fingers, after this it makes it easier to detangle damp or dry with fingers later on if it needs it. -Occasionally detangle with Blue Magic Coconut oil or Softee hair food (both of these are heavy stuff though and hard to wash out if you get too much on the hair, so I only use in very tiny amounts mixed with my olive oil). -Giovanni Blackberry & Coconut Milk conditioner ( mostly as a leave in, but use it mixed with an oil while detangling too). I used to stretch washes longer than a week, but my scalp wasn't agreeable with that (horrible itchiness), so now I currently wash about twice a week. I only use a gentle shampoo on my scalp, and for the rest of my length I only use conditioner (though occasionally I do clarify gently with a shampoo). I sometimes just do a water only wash for my hair too if my hair and scalp feel alright. I have found that using more conditioner every week though has made my hair so much silkier and more manageable, though my hair has tendencies towards being higher porosity, so I need to do more conditioning than other hair types might I think (it soaks up moisture like a sponge, and dries out just as easily if I don't keep it oiled). I can relate to you in how it can take so long for hair to dry. Normally, I lightly dab the excess water out of my hair with a clean 100% cotton t-shirt then put in my leave in conditioners and braid it and let it dry that way. Some days it dries faster than others, depending on the humidity in the air.